A family source said Mr Hashidu died Friday morning at his home in Gombe after battling Alzheimers disease for some years. 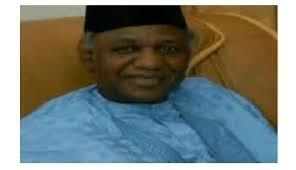 Mr Hashidu was governor of Gombe state from May 1999 to May 2003. He was elected on the platform of then All Peoples Party (APP). A family friend who confirmed the death of the former governor said he would be buried by 5pm Friday evening. Mr Hashidu was also a Minister of Water Resources as well as a Minister of Agriculture and Rural Development during the military regime of Ibrahim Babangida. He was also a member of the Vision 2010 committee set up by late head of state, Sani Abacha.